The Army Black Knights and Bucknell Bison split Sunday’s Patriot League baseball series doubleheader and the four-game set at Doubleday Field. 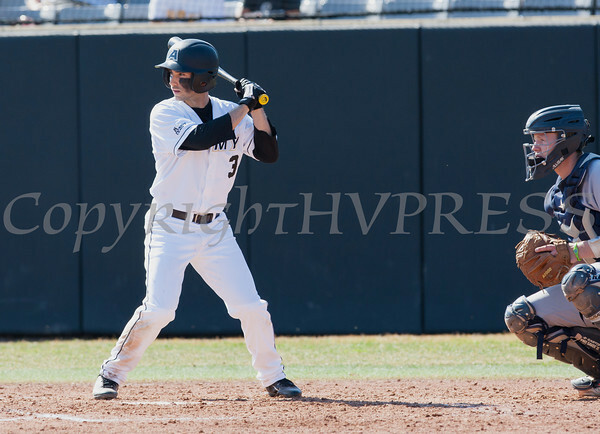 Army Black Knight OF Daniel Cortes (3) drove in three runs in Sunday's opener as Army split Sunday’s doubleheader against the Bucknell Bison at Johnson Stadium at the United States Military Academy in West Point, NY. Hudson Valley Press/CHUCK STEWART, JR.